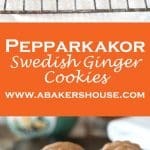 Pepparkakor is a Swedish ginger cookie like a ginger snap often made for Christmas cookies. This cookie is featured in the book, Pippi Longstocking. You can also skip the recipe and buy a store-bought batch at Ikea! This Swedish ginger cookie is called Pepparkakor. It is a kind of ginger snap cookie. What ingredients are in pepparkakor? Does Pippi Longstocking bake Pepparkakor? Yes! I learned that it is often made for Christmas but I first came across it while reading the book Pippi Longstocking with my son. His fourth grade class read it earlier this year and then had a Pippi Longstocking party in the classroom. 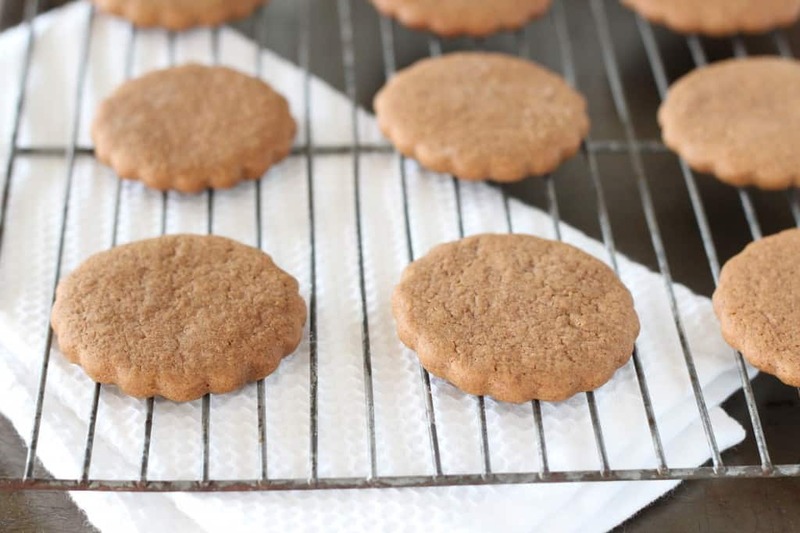 In the book Pippi bakes these ginger cookies for a party– she even rolls out the dough on her kitchen floor! While I didn’t feel the need to be quite that authentic, I did find a recipe shared by Cottage in the Oaks who baked this pepparkakor recipe with Pippi Longstocking in mind. 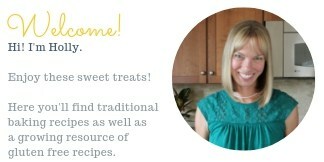 How can I make gingersnaps? Mix the dry ingredients of flour, baking soda, salt, and spices together and set aside. Beat the butter and sugar together then add the egg and add the molasses. Combine the wet and dry ingredients then refrigerate the dough. Place rounds of cookie dough on prepared baking sheets covered with parchment paper. Bake in a 350 degree F oven then cool completely before serving. Where can I buy pepparkakor? And if you don’t feel inspired to make these at home but still want to give the flavors a try? Well I saw that Ikea sells them too. I am confident that this version tastes better but I’ll leave it up to you to decide. Cookies seem to take a more prominent role as the holidays approach and it is fun to have more reasons to bake and share goodies! 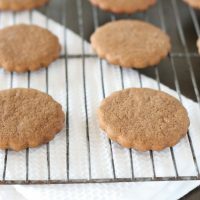 You may find a ginger flavored cookie like Pepparkakor in our list today that you’ll want to make for Thanksgiving or even take to a Christmas cookie exchange in December. Better yet, there are some cookies on this list from the #CreativeCookieExchange that can be made and enjoyed year round regardless of the season. Bake along with us! What kitchen items do I need to bake cookies? In a stand mixer or with an electric hand-held mixer, beat together the butter and sugar until light and fluffy. Next add the molasses and then the egg. In a separate bowl combine the flour, baking soda and remaining ingredients. Whisk to combine. Scoop the dry ingredients into the wet ingredients and mix on low until well combined. Form the dough into a flat circle and cover with plastic wrap or put into a zip loc bag. Refrigerate for 2-4 hours. If you need to refrigerate the dough overnight, let it rest on the countertop for 30-60 minutes before you roll it out the next day. Roll the dough to 1/8th or desired thickness. Use a cookie cutter to make cookies about 2.5 - 3 inches wide. Bake for 8-10 minutes then cool on a wire rack. These are the ginger cookies that Pippi Longstocking makes in the book. As you know, the theme this month is Ginger! If you are a blogger and want to join in the fun, contact Laura at [email protected] gmail.com and she will get you added to our Facebook group, where we discuss our cookies and share links. 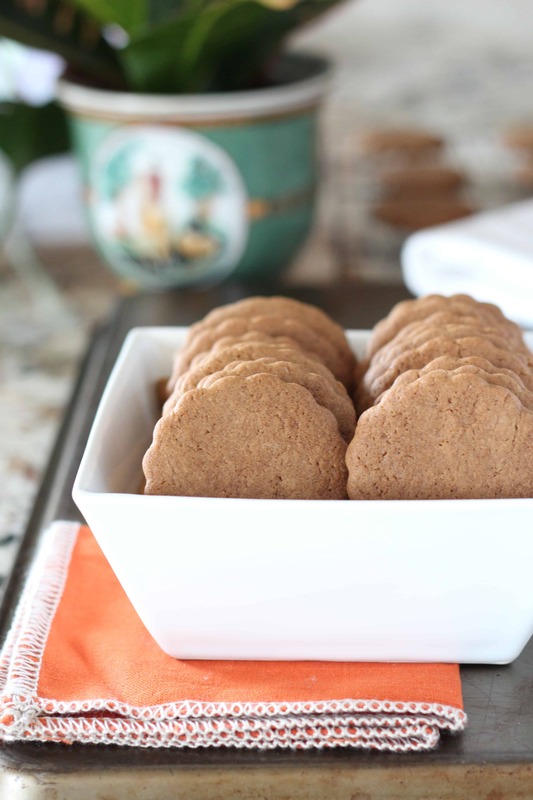 You can also just use us as a great resource for cookie recipes–be sure to check out our Pinterest Board and our monthly posts (you can find all of them here at The Spiced Life). You will be able to find them the first Tuesday after the 15th of each month. I like ginger cookies but I don’t like cloves. These look good. Thanks, Kim. I am lucky my boys like to read. Charlie read this one by himself and then I read it too to remember the story. It’s one of those books that crosses the boundaries of time. Fun. The name of these cookies just seems so festive to me. They definitely would be ones for the holiday season. Your cookies sound great, a bit like the Dutch ones we make. I bet they taste great. These look wonderful–I love that you found a traditional cookie from another country to share! What a cool sounding cookie! Loved this post! I am sure home baked ones will be any day better than commercial ones.. so I won’t be buying these at Ikea. What a great story to go with the delicious Swedish ginger cookies. I thought the name sounded familiar! I loved Pippi growing up! 😀 These look so yummy! Must be yummm. Perfect combination with Tea/Coffee. I LOVED Pippi Longstockings when growing up! I even dressed up as her one Halloween. What a cute story and great looking cookies! I used to buy the Ikea brand, Anna’s Pepparkrakors for my girls when they were little because they came in a pretty painted light blue tin and the cookies were delicious. But, I’m with you. I’m sure your homemade ones are even better, Holly. These are so pretty and sound great too! Wasn’t cooking at school fun? The first cookie we made in Home Economics was a snickerdoodle. I have fond memories of the experience and am glad this brought memories back for you too. My daughter was just asking about making some cookies this weekend, and I think we will be making a batch. I love discovering new cookies that I’ve never heard of before, these look so simple but I can imagine they taste wonderful.